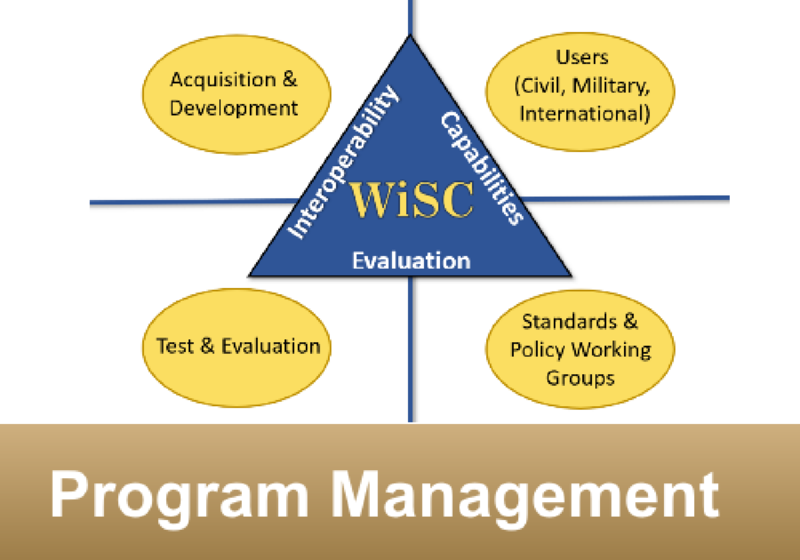 WiSC Program Management enhancing ISR mission capabilities of the national intelligence, defense and homeland security communities is the underpinning of the WiSC ISR mission capabilities. WiSC evaluates ISR acquisition programs to determine if they duplicate current/programmed efforts. Combine or integrate duplicative ISR systems in development and enforce collaboration among the Services on unmanned systems and associated training, basing, and logistics support requirements. Ensuring requirement and acquisition documentation reflect the most current standards (and metadata) to achieve user’s capabilities to the maximum extent possible. Working with program managers and users to determine capability needs, CONOPs, Tactics, Techniques, and Procedures. Developing data collection strategies that reflect the requirements. Ensuring required metadata for a given capability is harmonized across appropriate standards. Functioning as program manager and user advocate.